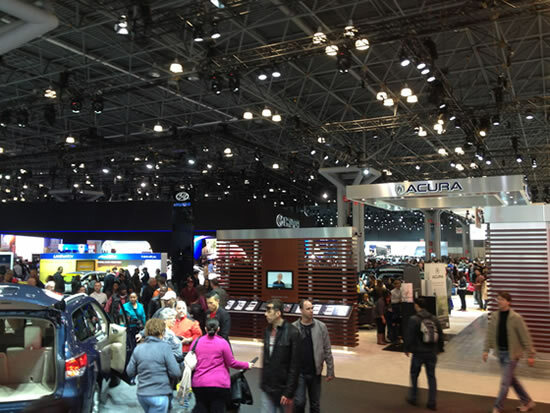 The New York Auto Show is one of the biggest in North America, and it takes place in the Javits Convention Center on the west side of Manhattan. The show was packed with people, and it took us more than six hours to go through the whole show. That was partly because my friends insisted on taking 20 pictures per car with their newly bought DSLR cameras, and we also had to take breaks because of walking around so much. The show had two large levels. The main level, Level 3, had most of the manufacturers and their new cars. The bottom Level 1 had mostly SUVs and Trucks, plus Subaru, Mitsubishi and some car customization and alloy wheel companies. GM had their own wing on the north side of the Level 2, and there were some exhibits such as motorcycles on Level 2 and Level 4. We started on Level 3, went to Level 4, then visited then GM and finished the day on Level 1. Convertibles make for better photos. Since I didn’t have a nice camera like my friends, my priority was finding cars to sit in. It was tough to do on Level 3 because it was the most crowded level and there were lines of waiting to sit in various cars, but it was easier to get into the trucks on Level 1 because there were fewer people. I seek out convertibles and big trucks/SUVs because I think they make for better photo opportunities. The display with the new Corvette Stingray. A rep was giving a talk about the car at the time but she was facing the other way. 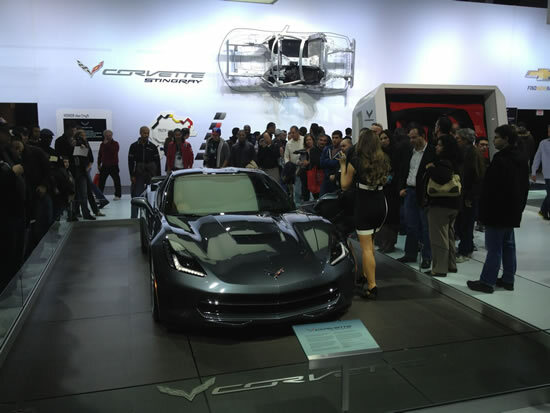 Out of all the companies, GM had best display and the biggest presence since they had a wing all to themselves. The Cadillacs, and the new Corvette Stingray, Camaro Z28, and SS were pretty cool. Also, GM had the best looking staff and had some very attractive female representatives hanging out near their cars. Lincoln was probably second in that regard. 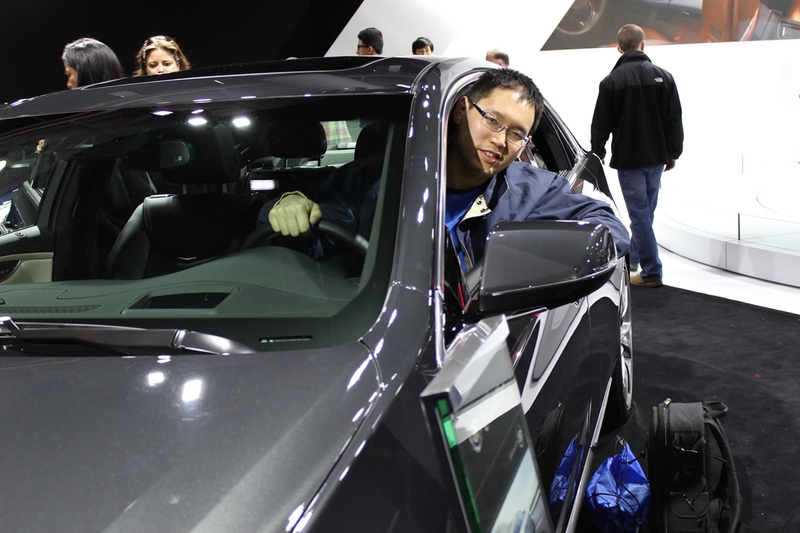 My favorite car at the show was the Acura NSX concept. It’s the most futuristic looking car there, and it was as sleek as any of those exotic sports car. 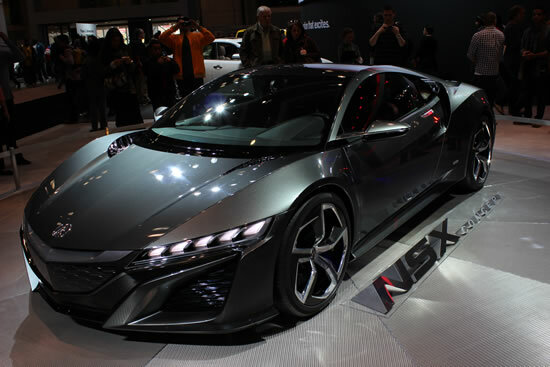 Most of the new Acuras and Hondas don’t look very exciting, but the NSX was different. I like most of the high powered sports cars, but unless I get rich and then have a mid-life crisis I doubt I would buy any of them. I can imagine myself driving a Caddie. Cars at the show that I’m more likely to buy in the future are probably the Cadillac sedans. I like the way Caddies look these days. I sat in the XTS and it felt pretty good, although it was smaller than the Mercedez ML that I drive. I still question the reliability of GM cars though. Chances are I might end up buying another SUV given how I’m used to taller and larger vehicles, or else I’ll get a Toyota or something similar for my next car and use it as an appliance just to get around. 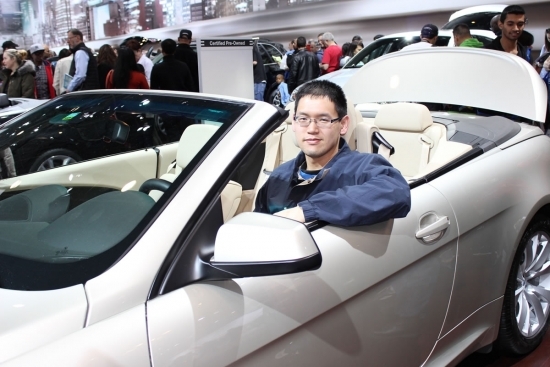 Overall, the 2013 NY Auto Show was a good experience. We saw lots of new cars and took a lot of photos. I wished there were more crazy concept cars and exotics though, since those are the cars that we are least likely to see on the road. Ferrari didn’t have an official presence at the show, although there were some Ferraris on the lower level with the customization companies. I also wanted to see some Teslas which weren’t at the show either.